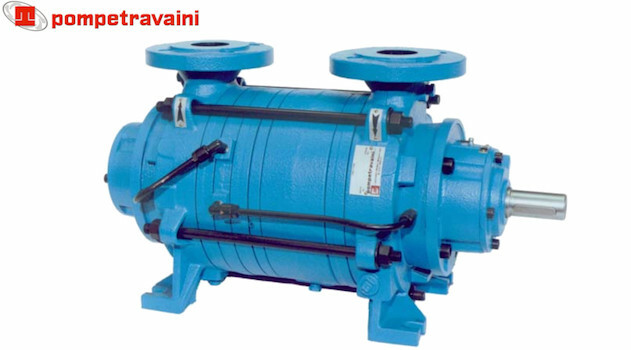 The double-acting liquid-displacement compressor Travaini SA is specifically designed to meet the stringent requirements for compressed air for medical use. The compressor Travaini SA provides compressed air without oil residue or oil smoke at a very high level of purity as used in the laboratories of the pharmaceutical and chemical industry. No internal oil lubrication is required. Compressed air is free of carbon and teflon particles (which is most common with free piston compressors). The air released by the compressors Travaini SA is cold and relatively dry. No post-cooler is required. The typical temperature of the compressed air is about 14°C higher than the temperature of the sealing water at the compressor inlet. Compressors require very little maintenance compared to other types of oil-free compressors, due to the absence of moving parts such as piston and valves. In addition, the maintenance and replacement of the air purification equipment is eliminated. No special foundation required, due to lack of reciprocal forces (pistons). Travaini SA liquid ring compressors are very quiet compared to piston compressors. Other types of compressors require expensive air purification equipment to purify the exhaust air. Purification equipment which generates a significant loss of pressure, which in turns, requires a higher pressure at the output of the compressor in order to reach the pressure required at the points of use. In addition, incoming air is cleaned of most dust and particles.